rivers, roads, towns, town names, provincial and national borders. The relief map has not been screened down and gives a higher contrast effect. 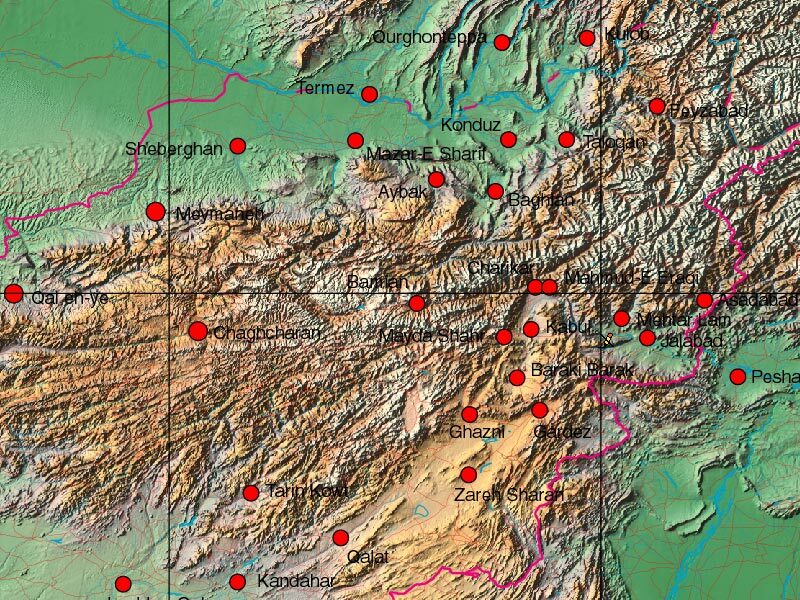 Detail of Afghanistan, Pakistan and Tajikistan border, at 100% size. The relief map placed behind a multi layered Illustrator EPS vector map.